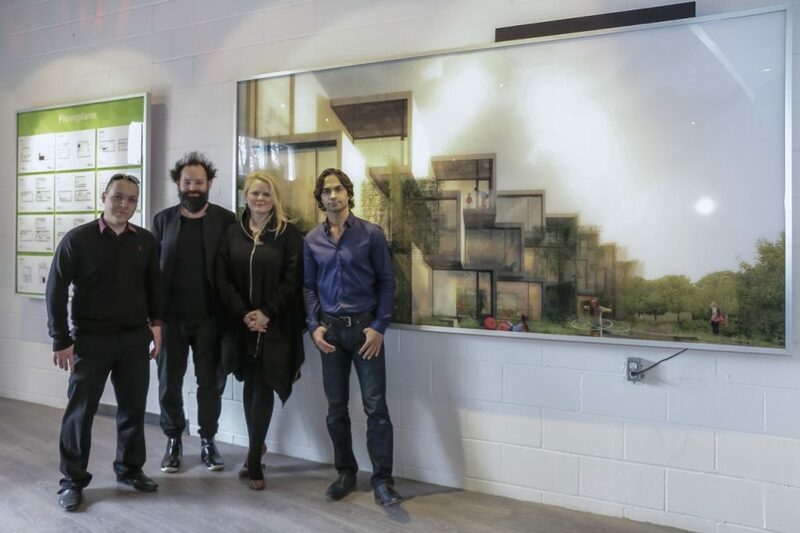 After receiving close to 1,000 pre-registrations, the highly anticipated Tree House Townhomes project held a preview opening last weekend in Toronto’s east end. The 39-unit development by Symmetry Developments, Engine Developments Inc. and Fortress Real Developments is one of the most exciting projects hitting the market this spring thanks to its distinctive architecture by award-winning firm 5468796 Architecture and Scandinavian-inspired interiors by Toronto-based dkstudios. 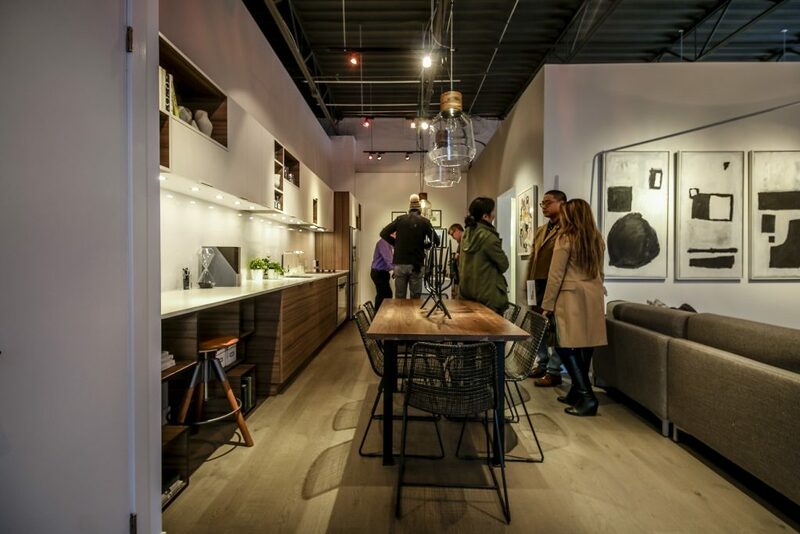 BuzzBuzzHome News was in attendance at the launch and had the opportunity to tour the brand new presentation centre and fully-furnished model suite located at 2535 Gerrard Street East. Designed by dkstudios, the presentation centre greets visitors with a series of ramps surrounded by renderings and sample boards that lead up to the model suite. The design is meant to provide the sensation of being lifted off the ground, like going up into a tree house. 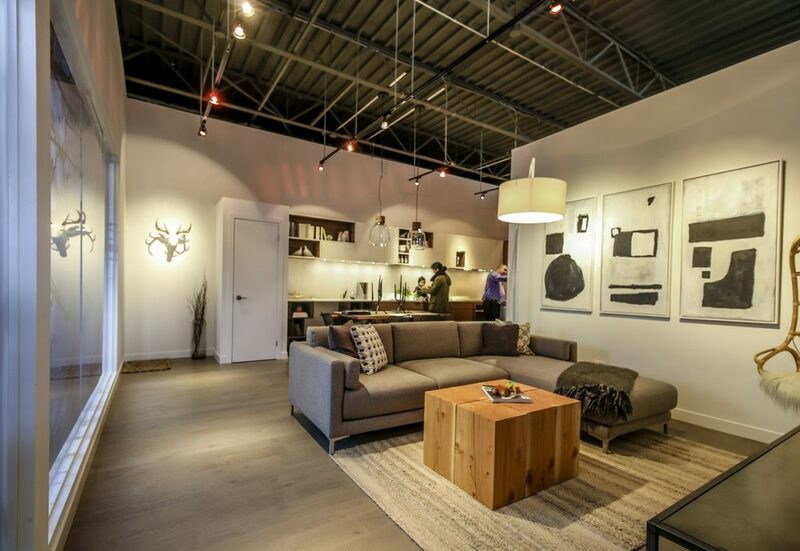 At the top of the ramp, visitors can tour the stylish model suite based off of the main floor layout of the 1,005 square foot Oak town loft floorplan. The main floor features a spacious living room, kitchen, dining room, bathroom and master bedroom with abundant closet space. On the second floor, a bright and open loft area leads to a 240 square foot balcony. 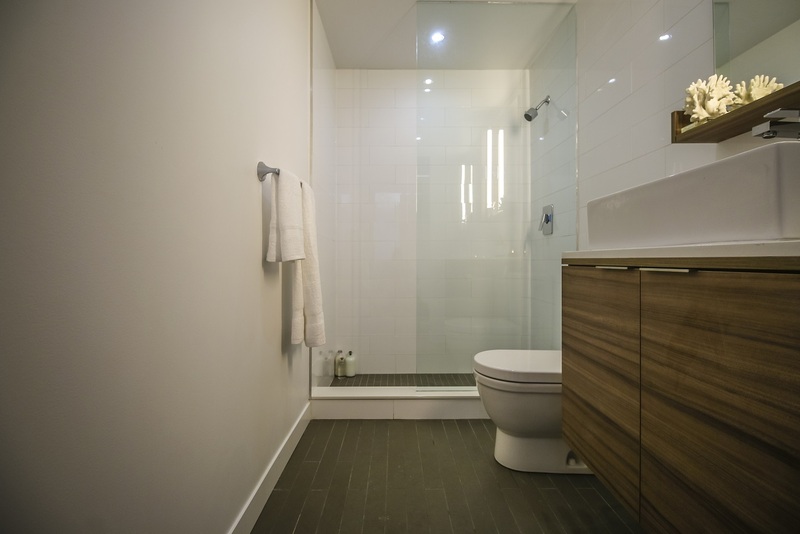 A three-piece bath and additional storage space is also included on the second floor. While the interiors offer impressive designs, features and layouts, it’s the exterior architecture of The Tree House Towns that has really been making headlines. Led by co-founders Sasa Radulovic and Johanna Hurme, 5468796 Architecture has created a unique collection of modern lofts and townhomes in the form of stacked geometric cells spread across three blocks. The homes are designed to embrace their surroundings through the use of oversized windows, large expanses of glass and rooftop terraces. The use of public courtyards and ample green spaces also foster a sense of community and provide a safe, family-friendly atmosphere. 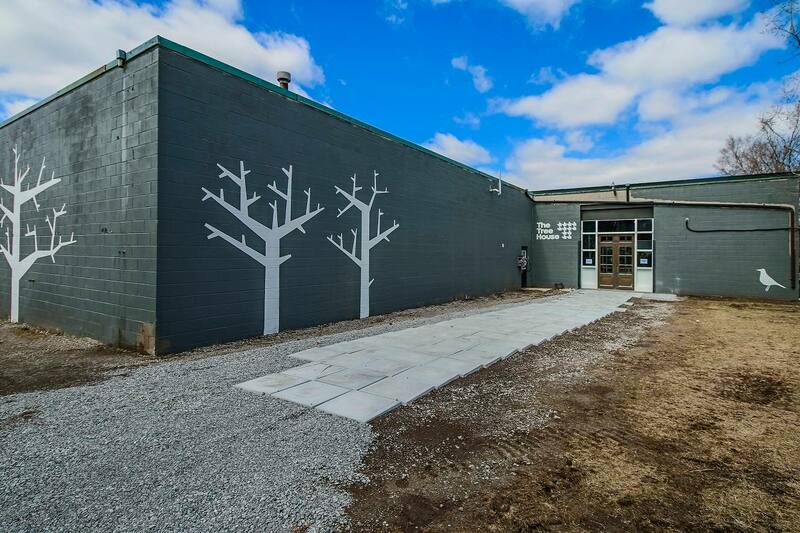 “Through the careful interplay between contemporary architecture and exterior courtyards The Tree House becomes a place where families can grow together,” said Radulovic. Homes at The Tree House start in the $400,000s and are well-appointed with engineered hardwood floors, solid surface countertops in kitchens and bathrooms and a stainless steel appliance package with integrated dishwasher and range hood-fan. 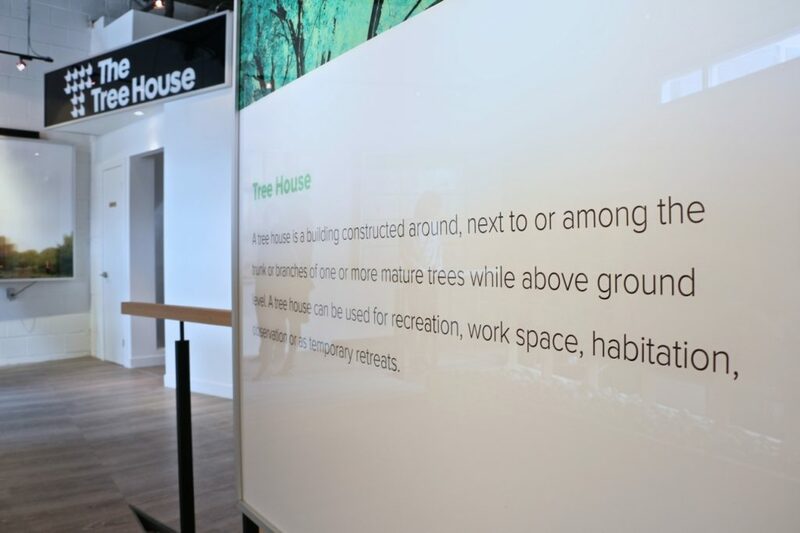 For more information call 647 560 4454 or email info@treehousetowns.com.